Legitimate question, how can anybody hate Arch Madness? 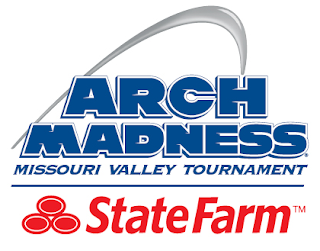 I think it is not possible and therefore it is good news that the 2013 Missouri Valley Tournament kicks off from St. Louis this Thursday night. The MVC is not as strong as in recent years and will in all likelihood end up as a two-bid league, with the favorites being Creighton, who is led by the sensational Doug McDermott, and Wichita State. But we seemingly always have somebody come out of nowhere in this tournament, could it happen again? Here are my predictions for Arch Madness 2013. Evansville is not awful, but they have nothing for McDermott. This is a good Wichita State club that plays terrific defense, but I am feeling a big upset here. The Redbirds are pretty inconsistent but they can be a tough out if their offense is playing at their capability. Illinois State's Cinderella run will come to an end here as McDermott will go off for the second year in a row to seal the Jays' tournament berth. Is Keith Olbermann headed back to ESPN?